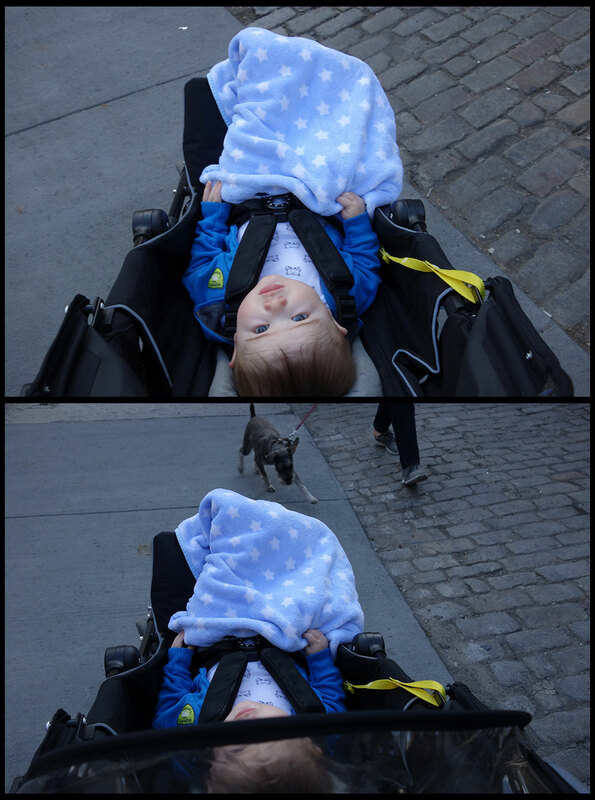 Henry spent his Saturday afternoon visiting with constituents (and birds) on the Great Lawn in Central Park. A group of older men that he passed committed to voting for Henry. After Henry gave them fives and waved, one of the fellows said, “I’d vote for you!” Henry turned on the charm and should get some great returns during the primaries. 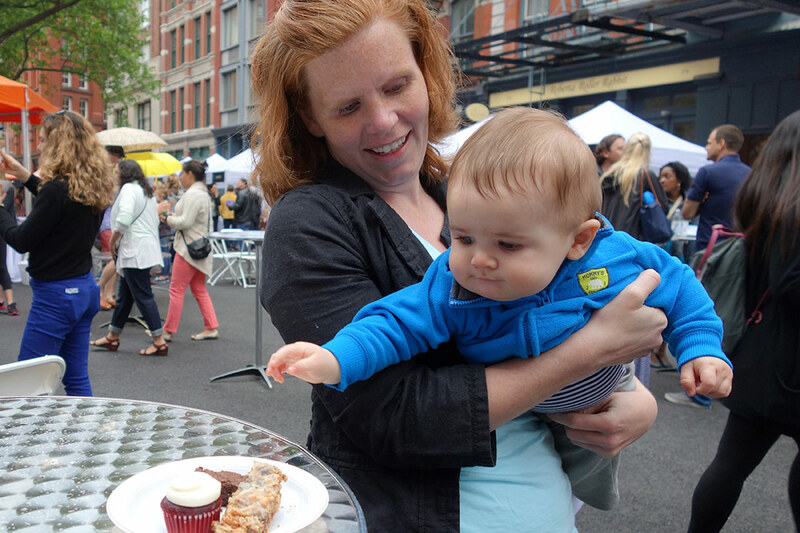 Jacqui and I took Henry to the annual Taste of Tribeca food festival this afternoon after returning from the Brooklyn Half Marathon. It’s a charity event that benefits the local public schools where neighborhood restaurants set up booths to serve sample-sized dishes. There are about seventy participating restaurants which offers a lot of variety to choose from and the opportunity to sample even some upscale places affordably. We were able to taste about a dozen samples ranging from unfamiliar new dishes to standbys like Duane Park Patisserie‘s warm molten chocolate cake for dessert. Reaching for dessert samples from Billy’s Bakery. 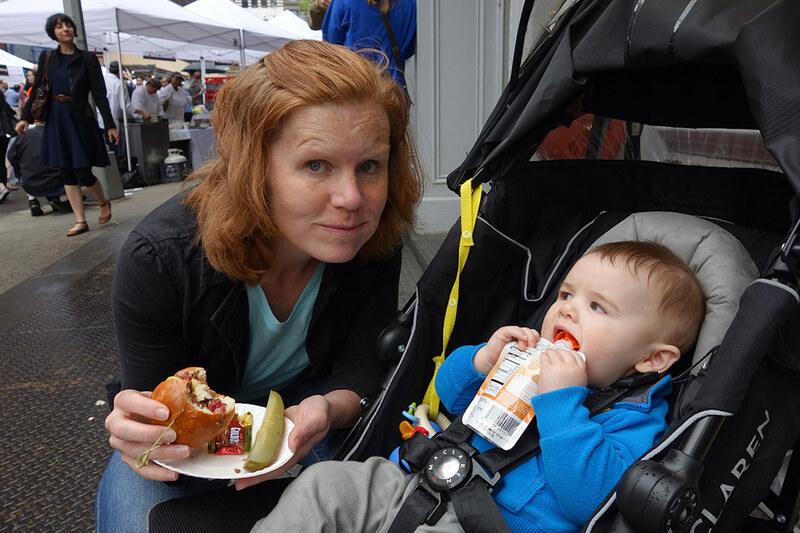 Jacqui samples Kutsher’s pastrami, Henry sticks with his usual tube of purée. 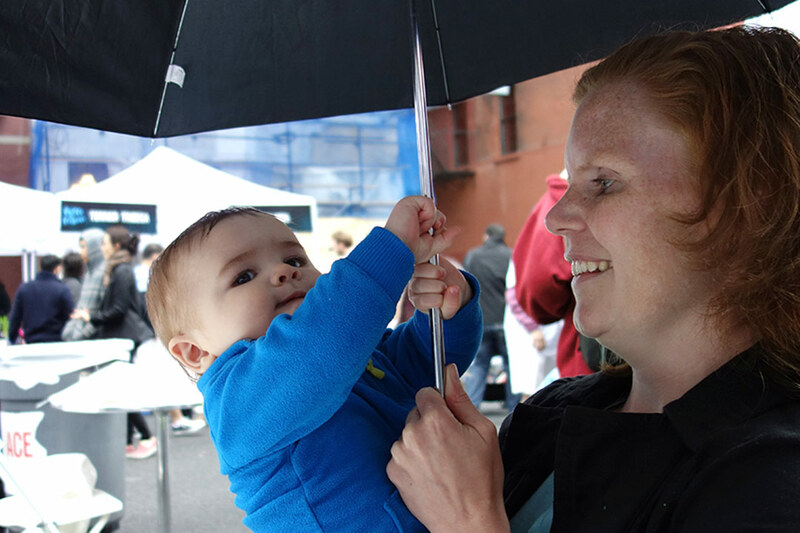 Despite some rain, there was a pretty good turnout and we enjoyed ourselves.